Eye Doctors providing quality eye care in your community. 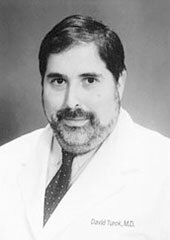 Dr. Melchionna received his medical degree from the University of Health Sciences in Kansas City, Missouri, where he was fifth in his medical school class, as well as class president. His surgical internship was completed at The Cleveland Clinic. 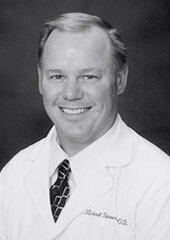 He went on to complete his ophthalmology residency at The Alton Ochsner Medical Foundation in New Orleans, Louisiana. Certified by the American Board of Ophthalmology and as a member of the American College of Surgeons, Dr. Melchionna is on staff at several area hospitals. He is affiliated with the American Society of Cataract and Refractive Surgery, American Academy of Ophthalmology and Illinois Association of Ophthalmology. Dr. Melchionna truly enjoys his patients. His glaucoma management and cataract surgery has helped thousands of people improve their sight. He is an accomplished eye surgeon having performed over 6,000 cases and always enjoys seeing new patients. Dr. Romaniv is a comprehensive ophthalmologist who specializes in cataract surgery as well as medical glaucoma treatment. She is a skilled cataract surgeon who uses the latest phacoemulsification techniques for cataract surgery, and offers both Toric and multifocal intraocular lens implants to reduce dependence on glasses after surgery. She also does eyelid procedures and takes care of patients with glaucoma, macular degeneration, and diabetes. Dr. Romaniv has an interest in international ophthalmology, and had travelled with the International Vision Volunteers to Zambia in Africa to provide free eye care and surgery. She is fluent in English and Ukrainian, as well as conversational in Russian and Spanish. Dr. Desai joined Simpson Eye in September of 2017. 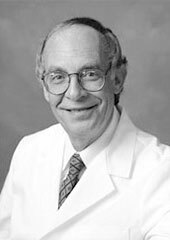 He is a board-certified ophthalmologist specializing in the medical and surgical treatment of vitreoretinal and macular diseases. Prior to joining Simpson Eye, Dr. Desai was in practice in Southern Illinois. In addition, he was an associate professor of ophthalmology at Henry Ford Hospital in Detroit, Michigan and Saint Louis University in Saint Louis, Missouri training future eye physicians. When not working, Dr. Desai is an avid tennis player, movie aficionado, and is a die hard Chicago sports fan. Dr. Desai is excited to return to the Chicagoland area and provide exceptional care our patients. 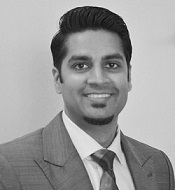 Dr. Desai is currently seeing patients at our West Dundee location and is on staff at Advocate Sherman Hospital. Dr. Turok joined Simpson Eye Associates in October of 2002. Dr. Turok is an ophthalmic plastic surgeon and neuro-ophthalmologist who is double boarded in both ophthalmology and neurology. In addition, Dr. Turok is fellowship trained in ophthalmic-plastic, reconstructive and cosmetic surgery. He is a member of the American Academy of Ophthalmology, the North American Neuro-Ophthalmology Society, American Academy of Cosmetic Surgery, the International Society of Cosmetic Laser Surgeons and the American Society for Liposuction Surgery. His particular interests include: cutaneous laser surgery, cosmetic facial surgery, periocular tumors, tearing disorders and thyroid related eye disease. Dr. Turok always wecomes new patients. Dr. Kozlov originally joined Simpson Eye Associates in 2003. 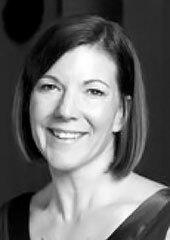 She is a board certified ophthalmologist specializing in cornea, external disease and refractive surgery. Dr. Kozlov is a board-certified member of the American Academy of Ophthalmology. She received here medical degree from the University of Illinois in 1995. Dr. Kozlov continued her medical education in Chicago by completing her internship at Ravenswood Hospital. She went on to finish her residency in ophthalmology at the University of Illinois. After her residency, Dr. Kozlov went on for additional education and training via a fellowship in cornea, external disease and refractive surgery at the University of California-San Diego. She is passionate about her specialty. Dr. Kozlov enjoys helping people with cornea problems and assisting her patients to become less dependent on glasses and contacts with refractive surgery. Dr. Harrison received his masters degree in control systems from U.C.L.A. and his medical degree from the University of Illinois. He completed his internship at Northwestern University and went on to complete his ophthalmology residency at the University of Illinois. Dr. Harrison is certified by the American Board of Ophthalmology. He is affiliated with the American Academy of Ophthalmology. Dr. Harrison retired from Simpson Eye Associates in 2015. He was a valued member of the Simpson Eye Team and he will missed by all of us as well as his patients! 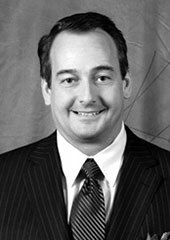 Dr. Strasser joined Simpson Eye Associates in 2006. He graduated for Northern Illinois University before attending the Illinois College of Optometry. 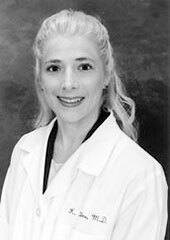 Dr. Strasser has been in practice in the area since 1996. Dr. Strasser always wecomes new patients. Dr. Rimbergas joined Simpson Eye Associates in 2013. Dr. Rimbergas is a therapeutic Optometrist with more than ten years of experience and specializes in the diagnosis and treatment of eye diseases such as glaucoma and diabetes, while providing routine vision care for the entire family. Dr. Rimbergas is also able to accommodate your contact lens needs. Dr. Rimbergas is originally from Chicago. She graduated from both Benedictine University and the Illinois College of Optometry with honors. She completed a hospital based residency at Jessie Brown and Hines Chicago VA system. Dr. Rimbergas is a fellow of the American Academy of Optometry. She has lived with her family in Huntley since 2007 and is very involved in the community. During her free time Sylvia enjoys running, eating Chicago style pizza and spending time with her husband and daughter.